Stephen and I recently rediscovered deviled eggs. They’re so easy and delicious, yet they rarely occur to me when thinking of what we could eat. 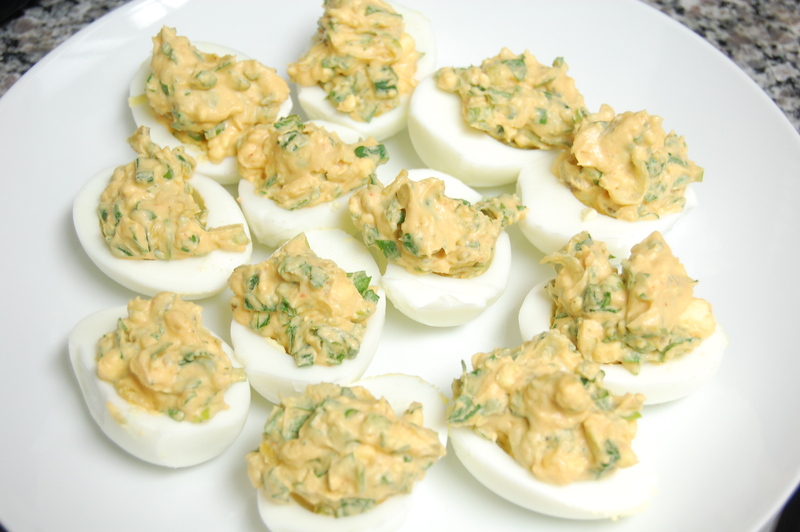 Regular deviled eggs are superb, but I stumbled across this recipe and had to try it. We both loved them! Stephen still prefers regular deviled eggs over these, but I thought these were some of the best deviled eggs I had ever eaten. I almost kinda followed the recipe on this one. Mostly. That feels almost ridiculous, using a long list of specific, measured ingredients for deviled eggs. Not to worry – next time I made deviled eggs, I just squirted a bunch of stuff in there, mixed it all up and called it good. Cut each egg in half lengthwise and remove the yolk to a bowl. Place the whites on a plate with the holes facing up. Mash the yolks in a bowl with all the rest of the ingredients, adding salt and pepper to taste. Spoon the filling back into the whites and serve. Love sriracha, love deviled eggs 🙂 I’ve never put the two together though, but sounds delicious! 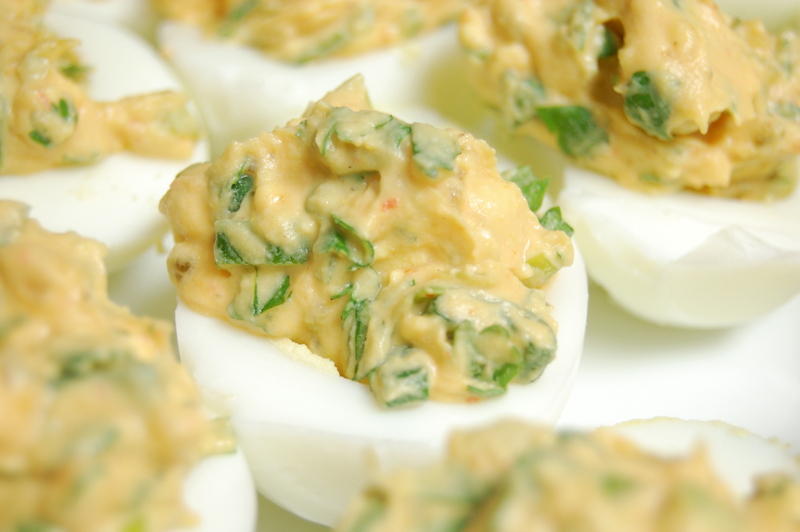 I usually add a couple of chopped jalapenos in my deviled eggs to add some heat. I want to try some of those deviled eggs! They look delicious! Yummm! I love the addition of sriracha hot sauce and cilantro!